Arora has been in the company since 2011 and likes to address himself as the "Business Guy" at WhatsApp. Before that, Arora was at Google as part of the search giant’s corporate development team which dealt with strategic investments and acquisitions. Furthermore, Arora was also a board member of Paytm from June 2015 to February 2018. 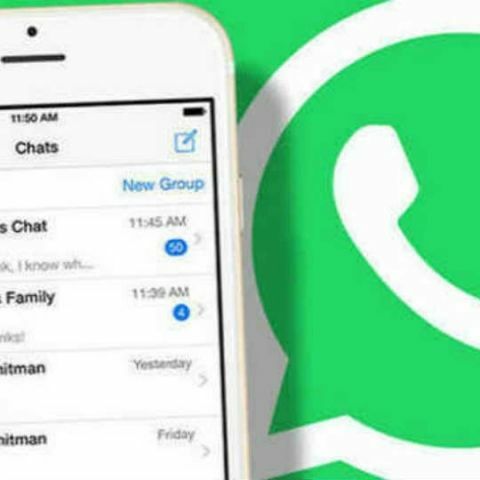 World’s largest instant messaging service is looking for a new CEO after its former CEO and co-founder Jan Koum resigned on April 30 reportedly following a disagreement with the app’s privacy policies crafted by Facebook which own the service. Among the forerunners for the position is an IIT-bred business executive in the company named Neeraj Arora, according to a report by TechCrunch. The publication reported that Arora is the number four in terms of hierarchy in the company. Arora who has been with WhatsApp since 2011 likes to address himself as the “Business Guy” at WhatsApp. Before that, Arora was at Google as part of the search giant’s corporate development team which dealt with strategic investments and acquisitions. Furthermore, Arora was also a board member of Paytm from June 2015 to February 2018. Arora has had a big role to play in WhatsApp’s success in India. He reportedly convinced Reliance Communications to bundle unlimited use of WhatsApp for a monthly charge of Rs 16 along with getting Tata Docomo to do the same for Rs 15 for 15 days. A graduate of IIT-Delhi, Arora has an MBA from the Indian School of Business (ISB). If he does end up becoming the CEO, Arora will join the likes of Sundar Pichai, Satya Nadella and other Indian-origin leaders as the head of Silicon Valley companies. However, Arora has a steep task ahead of him. As CEO, he will have to reassure WhatsApp users about its stance on privacy after the Cambridge Analytica scandal that Facebook, its parent company got tangled in. In fact, the previous Koum reportedly left after the a disagreement over Facebook’s intention to weaken the encryption and collect more information from users for more targeted ads. The other co-founder Brian Acton who started WhatsApp with Koum in 2009, also quit the company to start his own compnay. He has been a vocal supporter of #DeleteFacebook campaign ever since the data leak scandal was unearthed.